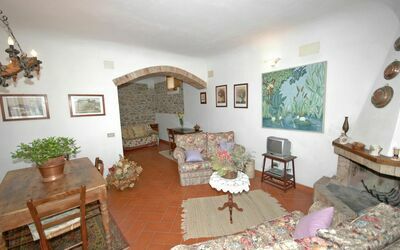 Ground floor: large, original living room (satellite TV) with dining area (L-shaped) and double sofa bed (€120,-/ a week), fireplace and outdoor access, kitchen (oven, small microwave, freezer, dishwasher, American coffee maker) with dining table (4 people), cupboard, vestibule/closet, bathroom with shower. 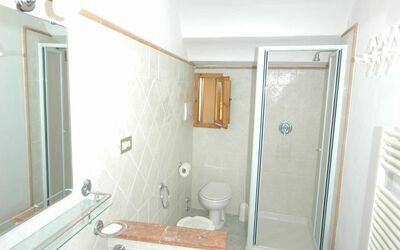 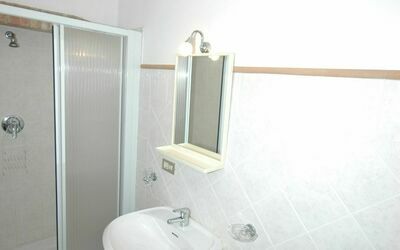 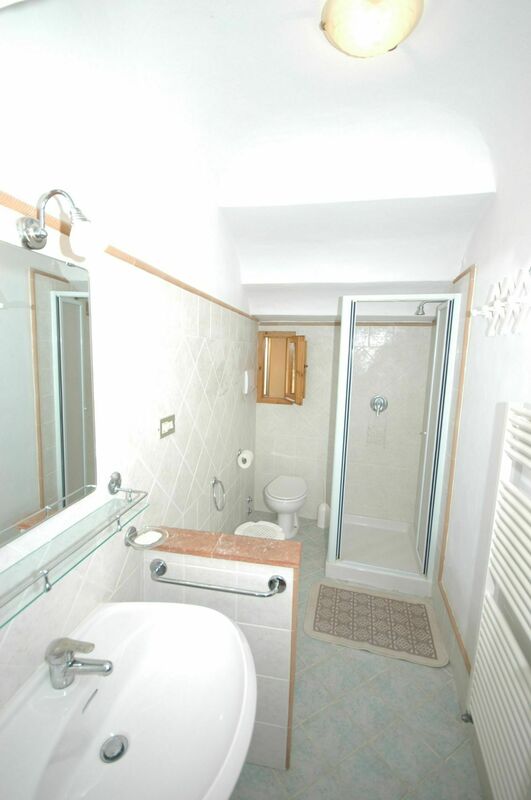 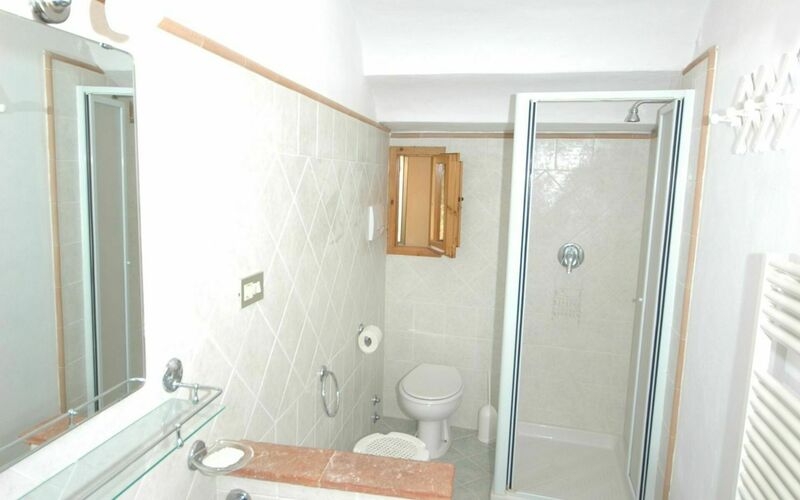 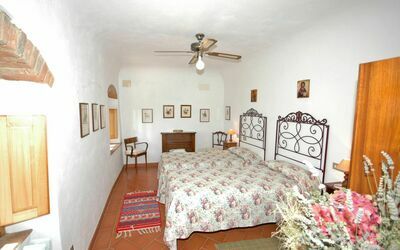 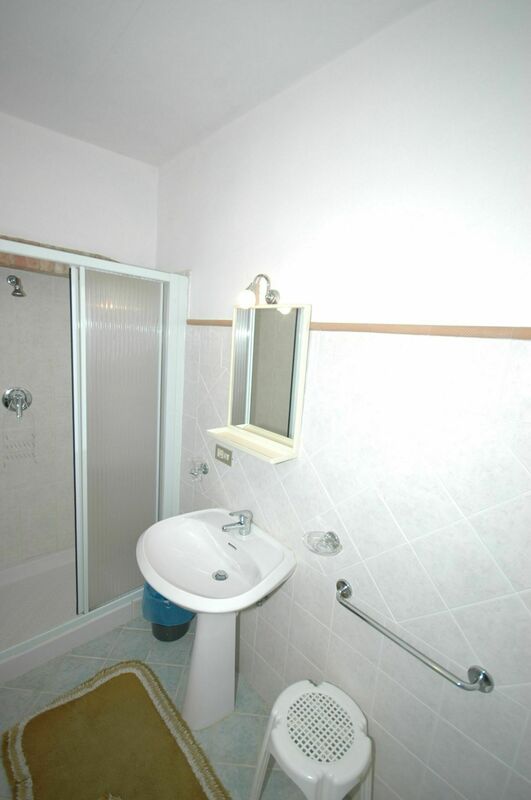 First floor: double bedroom with fan, bedroom with 2 single beds and fan, bathroom with shower. Large and pleasant private outdoor lawn located among olive trees approx. 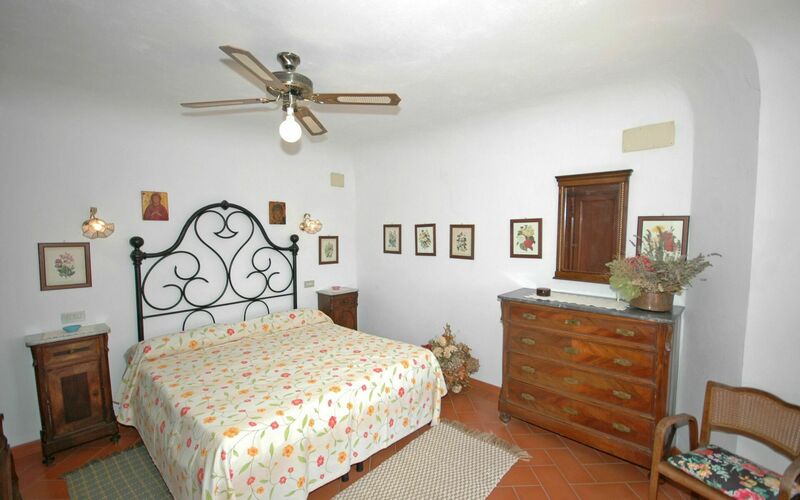 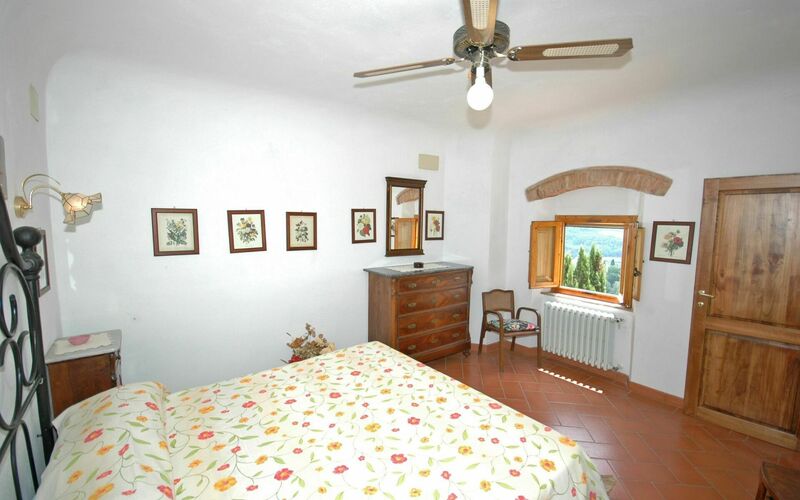 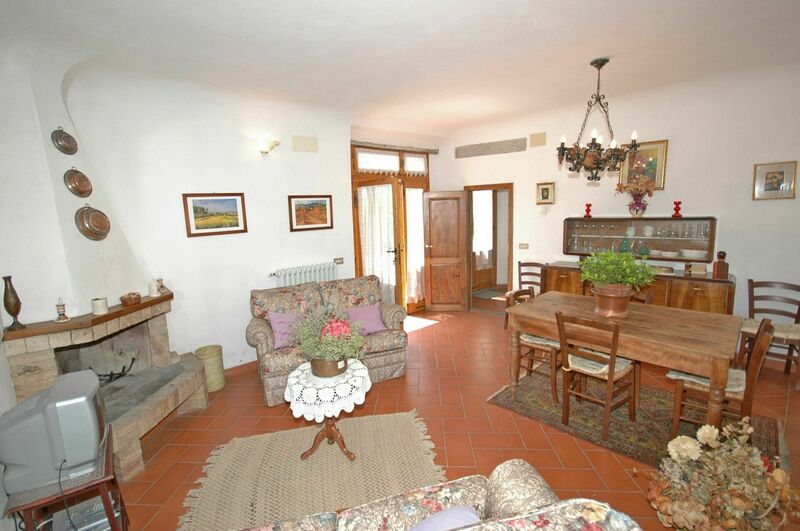 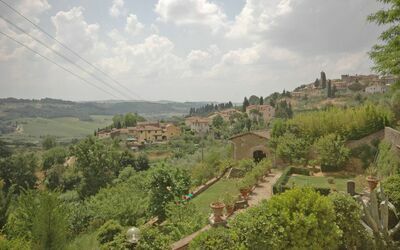 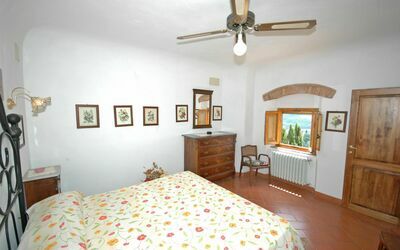 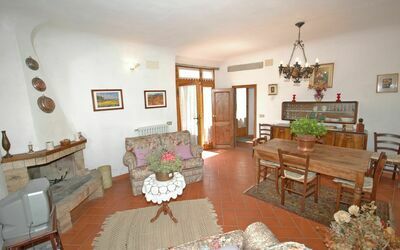 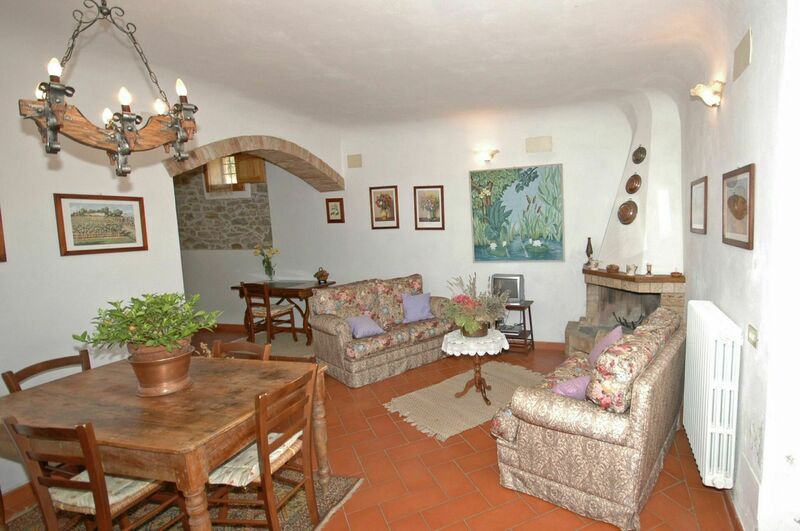 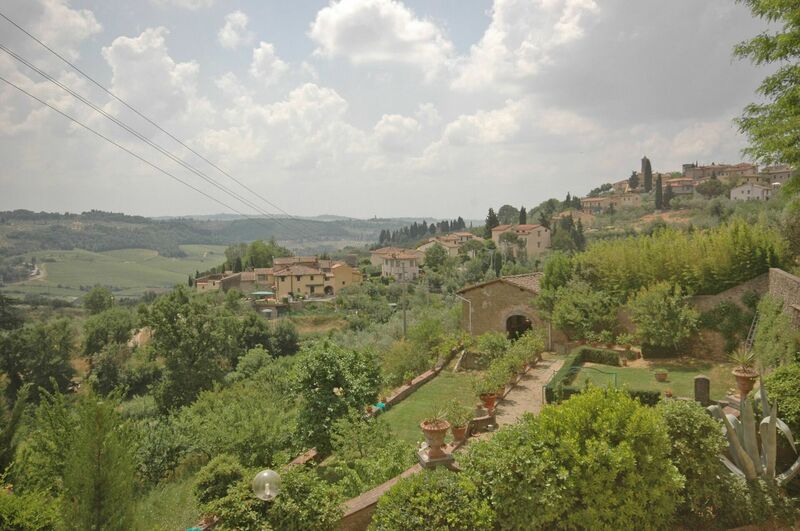 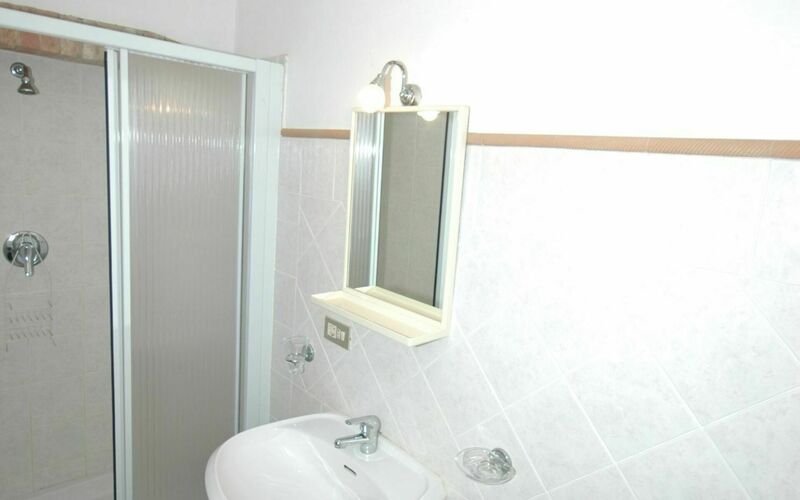 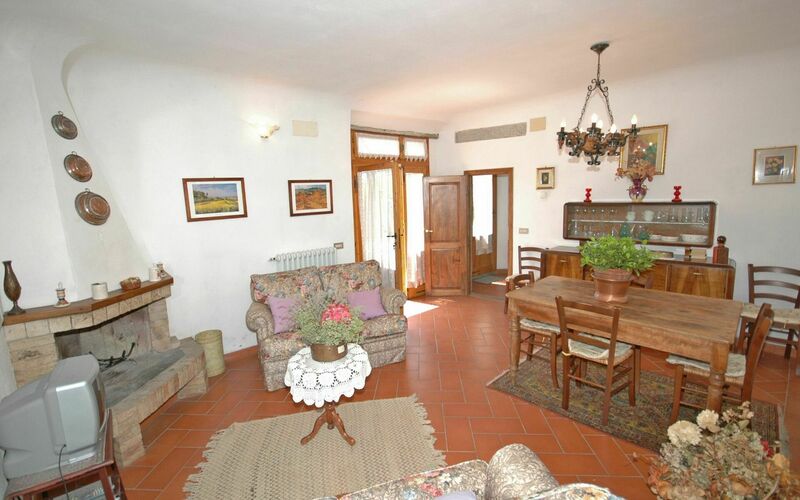 15 m from the house (movable barbecue) with beautiful view of the countryside and the main villa’s garden.